These days, if a game isn’t a free-to-play shooter, an MMO or a MOBA, there’s a likelihood it’ll be a 3rd-person open world action game. That certainly seems to be the case with many of Ubisoft’s games this generation. following Watch Dogs, four of the company’s upcoming games are open world, Assassin’s Creed Unity, Far Cry 4, The Crew, and The Division. Ubisoft Boss Yves Guillemot explains why. 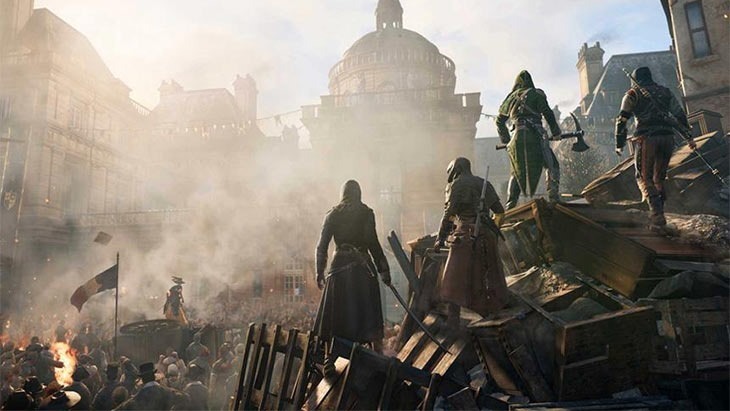 “When we create games, it’s very important to recreate systems that we can interact with like it happens in our real life,” Guillemot said in an interview with Ubisoft’s own blog. It’s this pen-world approach that they say allows them to make games that players can enjoy their way; alone, or together with friends without sacrificing the experience for anyone. It’s also a great way to show off the power of the new generation consoles, with bigger crowds, better looking people and more realistic physics. And one day, Ubisoft might even use these open worlds and next generation power to make games with women in them, right?